for the past few years i have chosen a word for the year. it’s something that means a lot to me. i started doing this is 2014 and each year i feel like god has been the one who intentionally puts the word on my heart and shows me how to use it. it constantly comes up throughout the year no matter what word it is. every year after christmas and before the new year, i pray and pray to see what word god is going to put in front of me and at the end of every year i understand completely and fully why he put that specific word on my heart. for 2017 – my word is BELIEVE. it came to me a few days before christmas while i was thinking about goals for the new year and i realized that the one thing i lack is belief in myself. i set all sorts of goals every year but each year i fall short of accomplishing them because i don’t believe in myself. 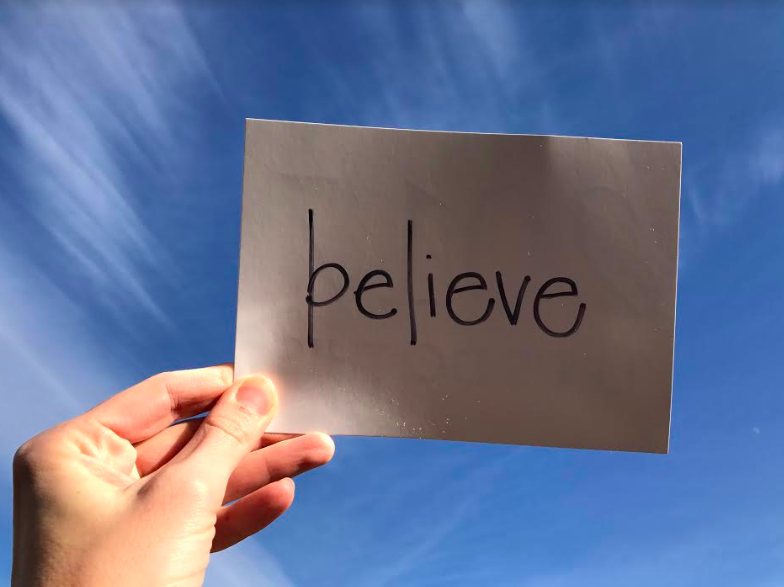 this year i feel like i need the word BELIEVE more than ever. i see others successfully doing hard things – opening and killing it at their new businesses, working with amazing companies on their blogs, getting in the best shape of their lives, etc. – and i wonder why i haven’t gotten there. this year though i truly am excited for what god has in store for me. so for 2017 i am going to believe. believe in him for taking me where he wants me. believing i can do hard things. believe that he will keep us safe and happy and healthy and ever so blessed as he has every year. my word for 2016 is patience. making the motherhood transition from one to two is a tough one and i know got is going to grant me the patience i need to sustain everyone. but not only in motherhood is this word going to come in handy but in my daily tasks too. people around me when i’m driving or at the grocery store, meals being made, nursing taking longer than i want it to. this year is about slowing things down and finding my patience with my world around me, with my new baby, and with my incredibly active toddler. the new year brings a new word though. my word for 2015 is start. there are so many things in this new year (and in my life) that i want to achieve and i have big plans for them but instead of planning this year, i need to just start. i can figure out the details as i go along but i’m never going to be able to accomplish anything if i don’t start. my word for 2014 is simplify. with a baby on the way and other major changes that i’ll eventually talk about coming up this year, the best way for me to handle things is going to be to keep it simple. i know that i just can’t say i’m going to live simple though without having a plan. with the help of emily’s awesome blog posts about the three steps on how to simplify, i have created my own plan on how i’m going to accomplish this daunting but desired skill. I love this! My 2017 word is Supernova (shine brightly!) I wrote a blog about that, too! And my word for last year was "start!" I feel after reading this like we have so much in common! I am trusting God to give you and I both the strength to believe in ourselves, shine brightly, and do all those things that he has put on our hearts! That is an amazing word! happy new Year!